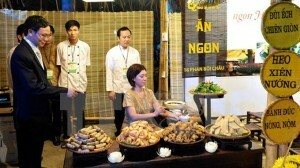 North Central Region Cuisine Festival opened in Sam Son Town, in the north central province of Thanh Hoa on July 24. The event is part of activities in response to Viet Nam’s National Tourism Year 2015, held jointly by the Viet Nam National Administration of Tourism, and the Thanh Hoa provincial Department of Culture, Sports and Tourism. 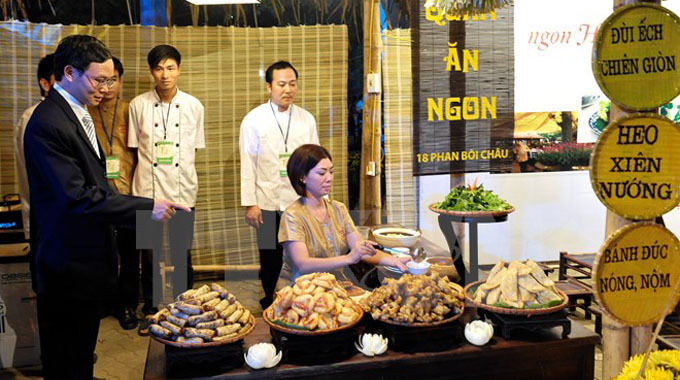 This year’s festival, which features signature foods from the North Central region, has attracted the participation of 64 booths run by 40 businesses in the hospitality industry from 16 cities and provinces. The festival aims to honour and introduce the culinary culture of the North Central region to both domestic and international visitors. The event also offers a platform for professional chefs to show off their skills and creativity, and share their experience in culinary arts. The 2015 North Central Region Cuisine Festival will run until July 27.